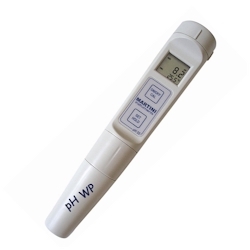 IP67 Waterproof pH tester with large dual-level LCD that displays pH and temperature (C or F). 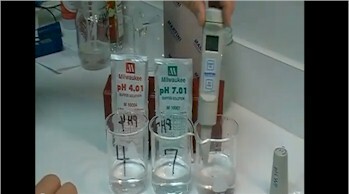 The large display shows readings in an extended range from 2.0 to 16.0 pH and simultaneously shows temperature from 5.0 to 105.0C or 23.0 to 221.0F. 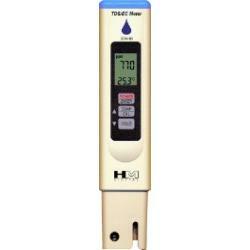 This tester has a stability indicator and hold function that freezes the display for easy and accurate recording. 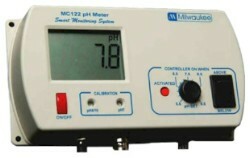 Complete with a temperature probe for faster and more precise temperature measurement, this tester compensates automatically for temperature. 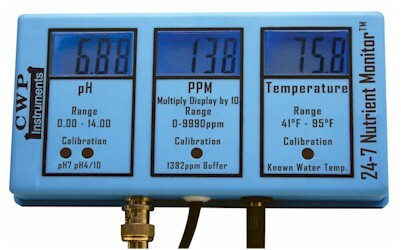 Calibration is made automatically in 1 or 2 points with memorized standards and NIST buffer sets. 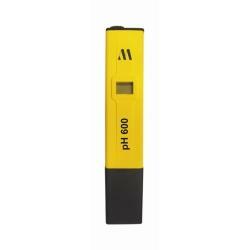 Auto power OFF saves battery power after non-use.The double injection electrode can be replaced in a very fast and simple way! 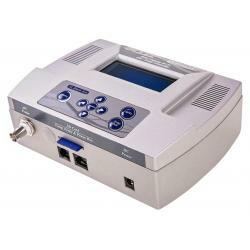 The modular design allows easy electrode and battery replacement.